Set of strip machine heads. Three in a line. 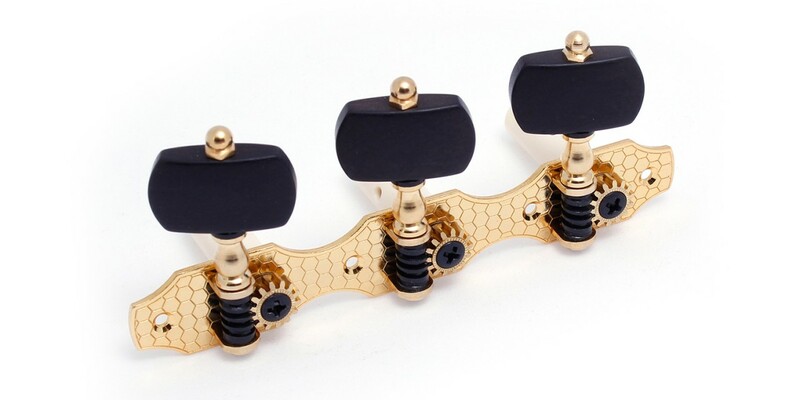 Gold with plastic rollers & wooden buttons for Hofner classical guitars.